Downtown Bryson City is a relaxed walkable town with a variety of restaurants, shops and services. 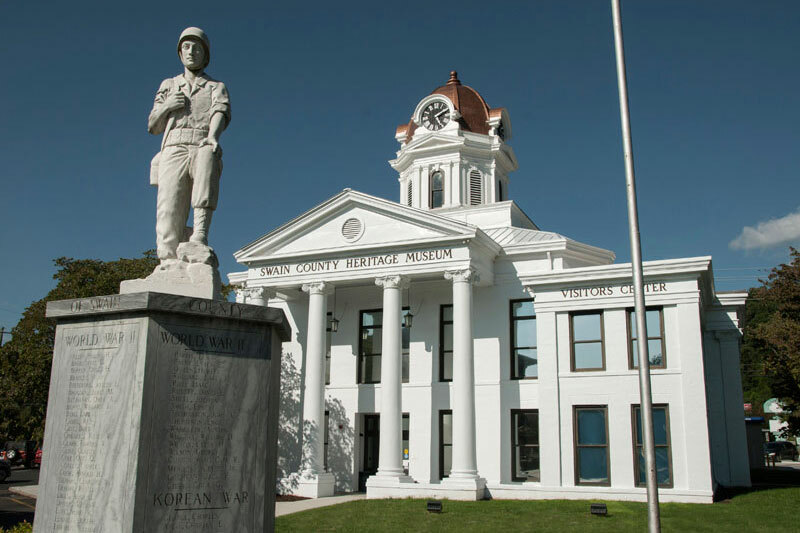 Don't miss the new Heritage Museum in the historic Swain County Courthouse and Visitor Center. 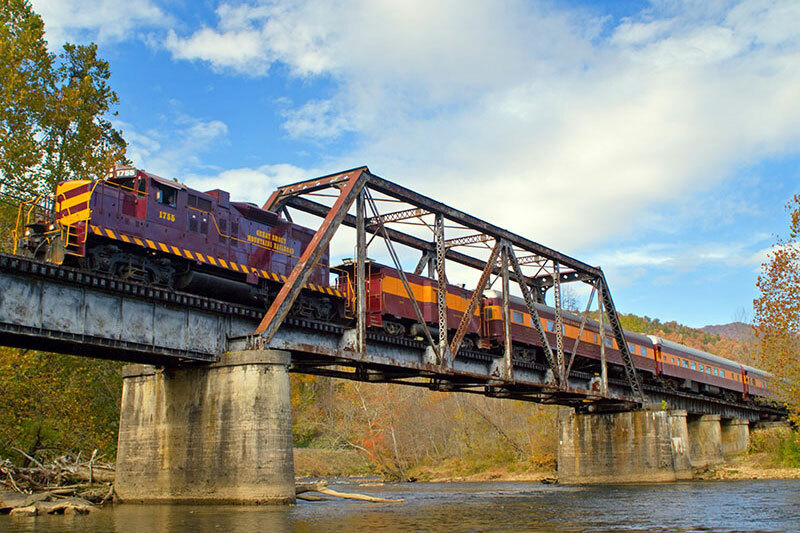 Great Smoky Mountains Railroad — Scenic rail excursions through a remote corner of North Carolina into river gorges, across valleys and through tunnels carved out of mountains. Excursions include Nantahala Gorge, Dinosaur Train, Polar Express, Polar Express BBQ & Brews, and other themed events. For schedules and information, visit GSMR.com. Waterfalls — In addition to Deep Creek's three sparkling waterfalls, there are two spectacular waterfalls near Cherokee — Mingo Falls and Soco Falls. Great Smoky Mountains National Park — The nation's most-visited national park is half in Tennessee and half in North Carolina. There are many scenic vistas, and more than 800 miles of hiking trails. 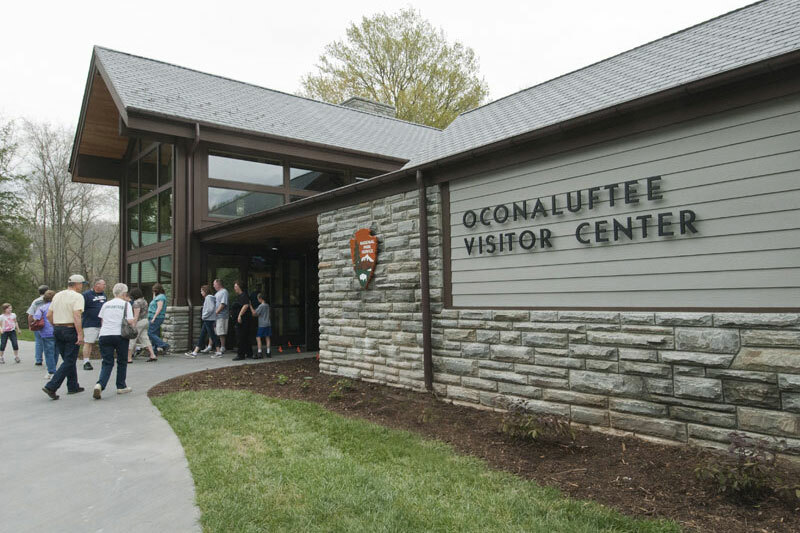 Be sure to visit the Park's Oconaluftee Visitor Center at the Cherokee entrance. Hiking — With more than 800 miles of hiking trails, the Great Smoky Mountains National Park is a hiker's paradise, with hikes of all levels from beginners to advanced. The Appalachian Trail follows the ridgeline along the Tennessee - North Carolina border. 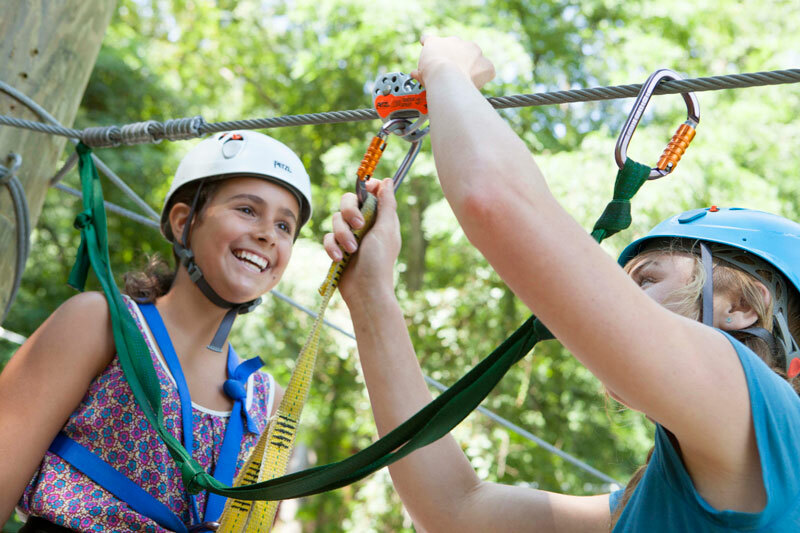 Zip Lines and Canopy Tours — Two outfitters operate zip lines over the Nantahala Gorge — the Nantahala Outdoor Center and Nantahala Gorge Canopy Tours. 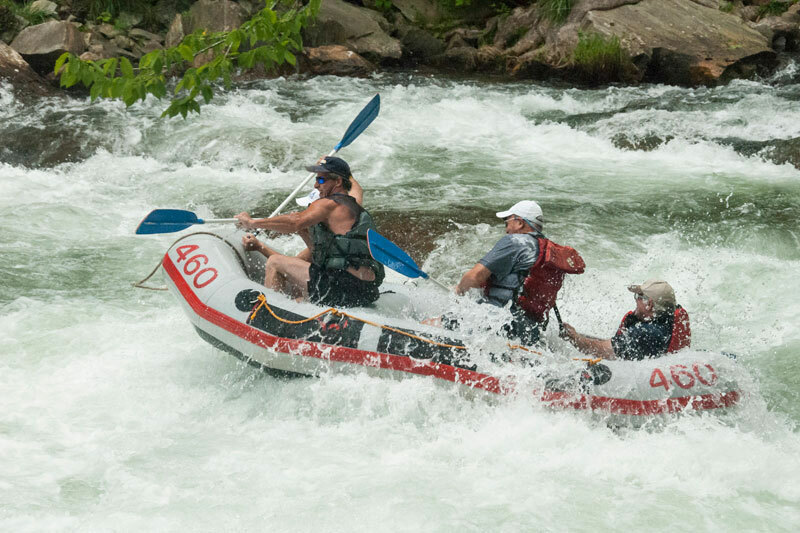 Whitewater Rafting — The Nantahala Gorge is one of the most popular whitewater venues in the region. There are many outfitters to chose from including Wildwater Rafting and Nantahala Outdoor Center. Mountain Biking — There are great trails in the Deep Creek area of the National Park just down the road from the Campground. One of the top spots anywhere is the world-renowned Tsali Recreation Area. For bike rentals, there are several area bike shops including Tsali Cycles. Fishing is big in Swain County year 'round. In fact, it's so big that it has its own website: GreatSmokiesFishing.com. 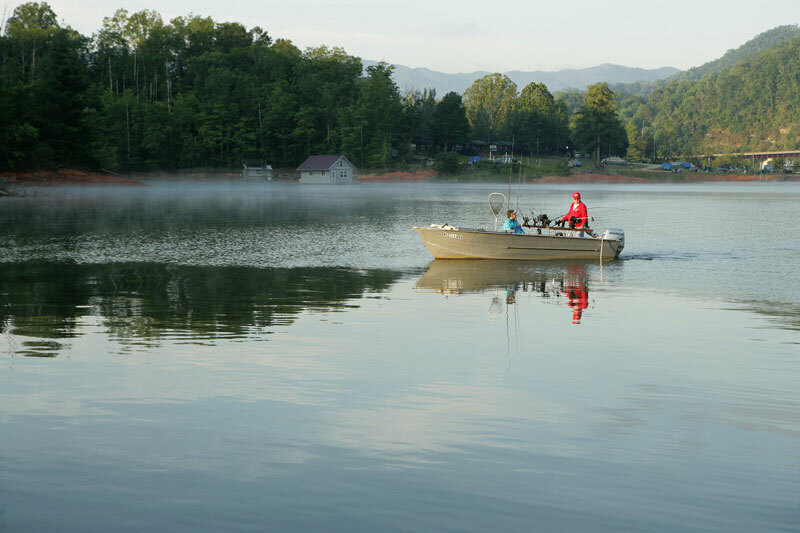 The comprehensive guide to fishing in the NC Smokies features a map of twenty-six fishing destinations — mountain trout streams, creeks, rivers and two large lakes. Fly Fishing Museum of the Southern Appalachians — Through exhibits and videos you’ll learn about past fly fishing legends, the evolution of rods and reels, fly-tying, regional fishing waters, and the history of fly fishing in the Southeast. Located in Cherokee. Horseback Riding — Smokemont Riding Stable north of Cherokee offers guided horseback riding within the Great Smoky Mountains National Park. 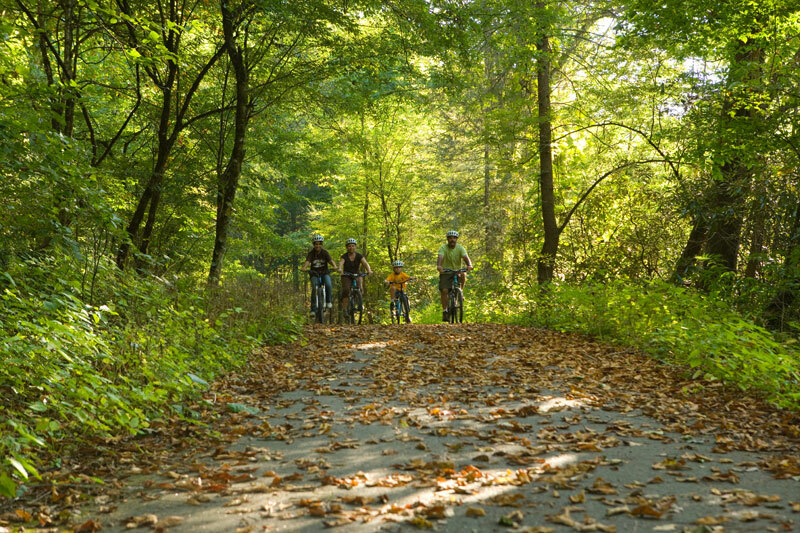 Rides available for the beginner or experienced rider featuring wooded forests, wildflowers, river and waterfalls. Music — There are a number of music venues in the Bryson City and Nantahala Gorge area. Fontana Lake and Dam — The 29-mile long, 11,700-acre lake has more than 240 miles of shoreline and great year-round fishing. Fontana Dam, at the western end of the county, is the tallest east of the Mississippi. 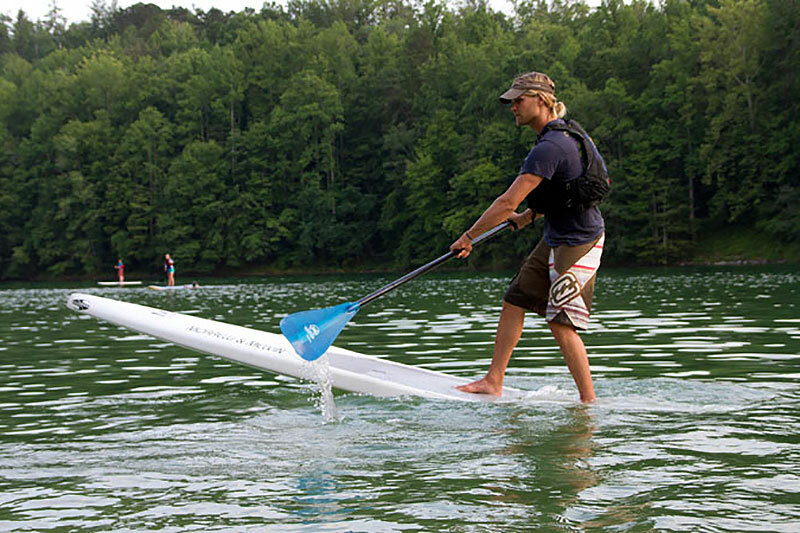 Paddleboarding – Enjoy Fontana Lake or the Tuckasegee River in Bryson City from a paddleboard. Golf — There are several courses in our area including Smoky Mountain Country Club and Sequoyah National Golf Club. Motorcycles and Sports Cars come from all over the world to ride "The Dragon," a legendary road that contains 318 curves over an 11-mile stretch! 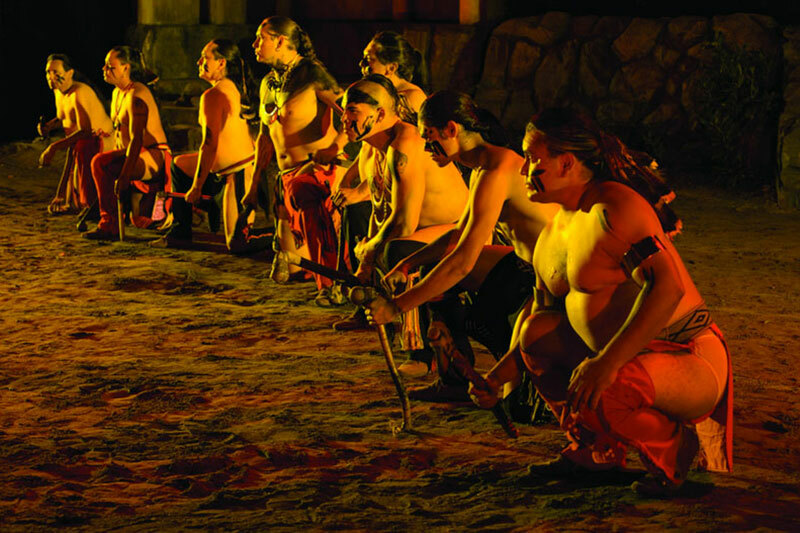 Cherokee Indian Reservation— No visit to the Smoky Mountains would be complete without a trip to Cherokee, where traditional arts and crafts and Native American culture are respected and preserved for future generations. 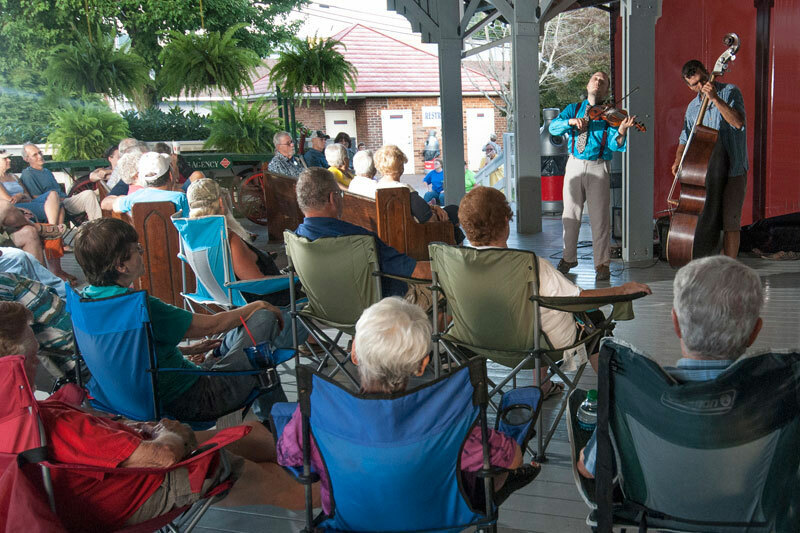 Cultural attractions include the outdoor drama "Unto These Hills", the Oconluftee Indian Village, the Museum of the Cherokee Indian and the Qualla Arts and Crafts Mutual. Harrah's Casino — A Las Vegas-style casino with slot machines, dealer games, restaurants, shows and concerts. Santa Land Fun Park and Petting Zoo — A small theme park in nearby Cherokee. 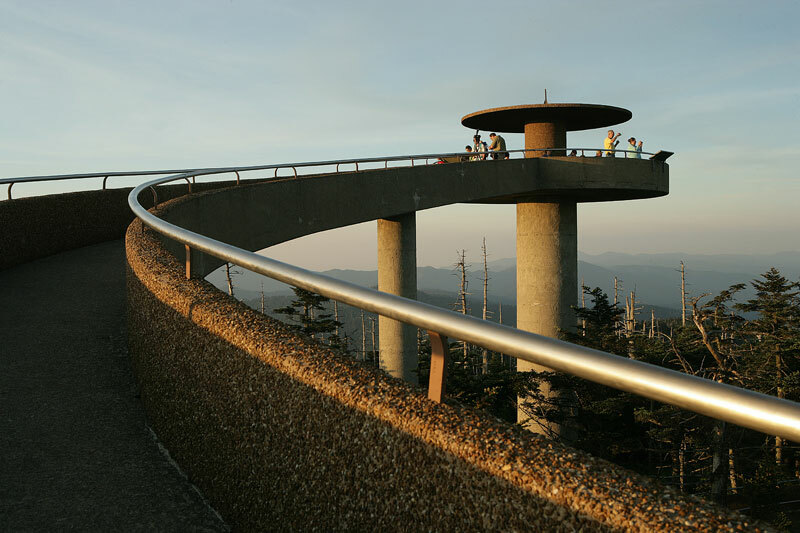 Blue Ridge Parkway — The Parkway begins just 20 minutes away in Cherokee, near the entrance to the Great Smoky Mountains National Park.  A nice short sampler is the 26-mile-segment from Cherokee to the Balsam Mountain exit at milepost 443, just west of Waynesville on US 74. 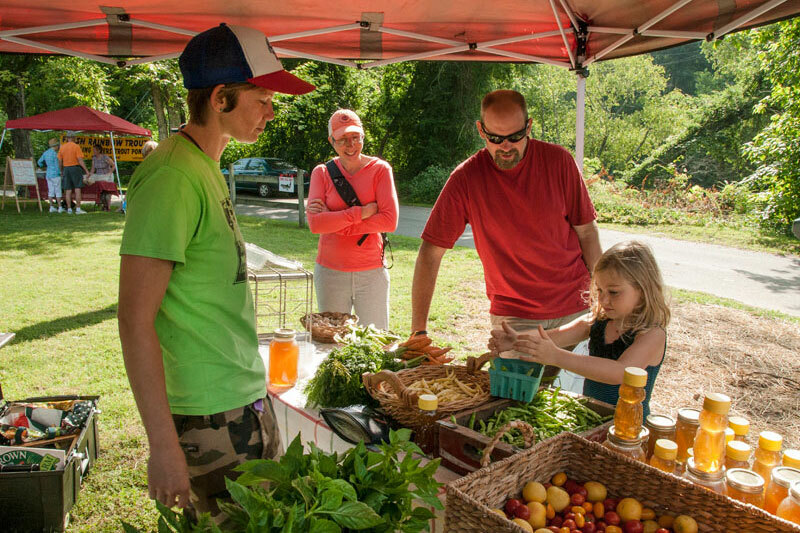 More about Bryson City and Swain County — To learn more, visit the Bryson City / Swain County Chamber of Commerce website.